Eight models included in extensive off-road motorcycle range. 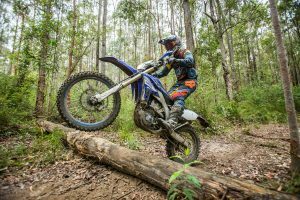 Beta has unveiled its all-new and broadened 2019 RR range, which boasts an incredible eight off-road models, including four two-stroke bikes and four four-stroke motorcycles. The Tuscan manufacturer hasn’t just been working towards a more refined product with significant technical improvements – it’s also introduced several new engine capacities. 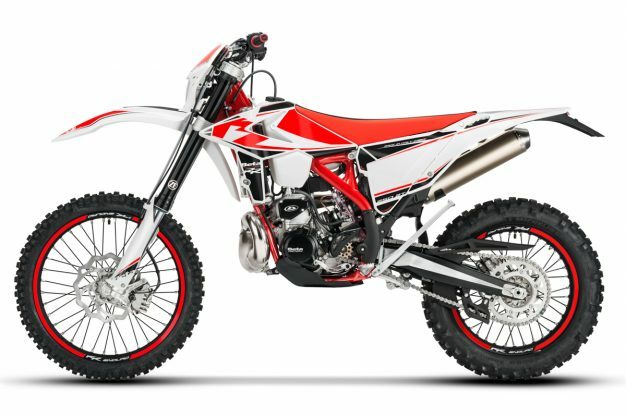 The Beta philosophy is to make sure each engine size has its own distinct personality, so as to meet the specific needs of every enduro rider. 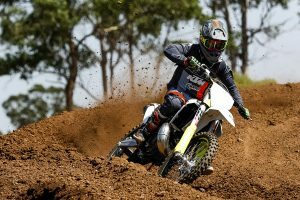 Given the engine size and low weight, the newly arrived RR 200 two-stroke has inherited the chassis set-up of the 125. More specifically, the frame, in chrome molybdenum with double cradle split above the exhaust port, has been designed for small engine displacements. It features revised main dimensions and ensures optimal engine positioning. 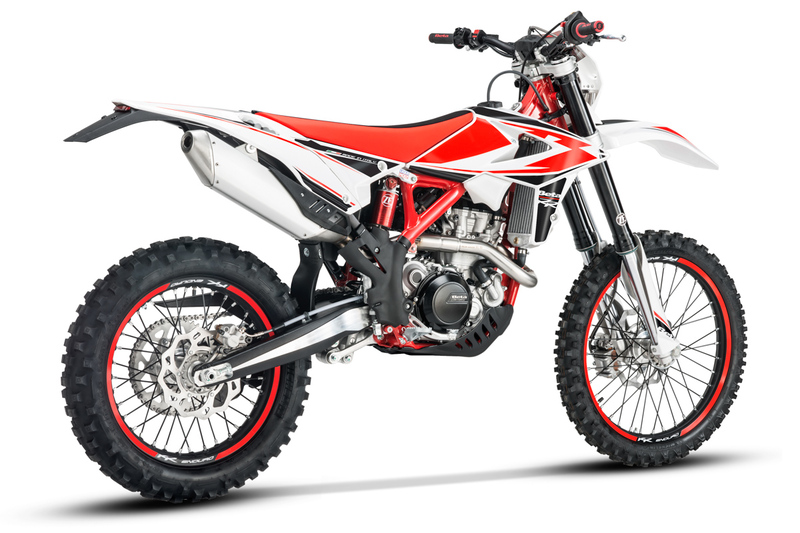 The chassis, an offshoot of its smaller 125cc sister – is characterised by a special layout that aims to optimise weight distribution and engine dynamics. This model, thanks to the introduction of the automatic oil injector and the electric start, is a great all-around bike. 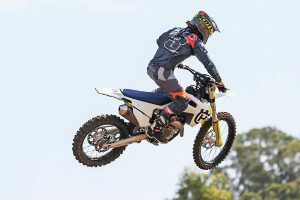 There’s been no lack of upgrades across the existing range either, with improvements stemming from extensive race experience – in the last two years Beta has won two EnduroGP Manufacturers World Championships, an E3 world title and EnduroGP title with Steve Holcombe, and an EJ world title with Brad Freeman. – New ECU guarantees a more powerful spark at high revs, improving combustion and engine performance. – Clutch actuator with wider diameter gives the clutch lever a softer, more responsive feel. – New BPV exhaust valve opening adjustment (300cc only) allows extremely linear power delivery, creating a high-performance engine that is easy to use under extreme conditions. – New expansion chamber ensures increased performance throughout the rev range. 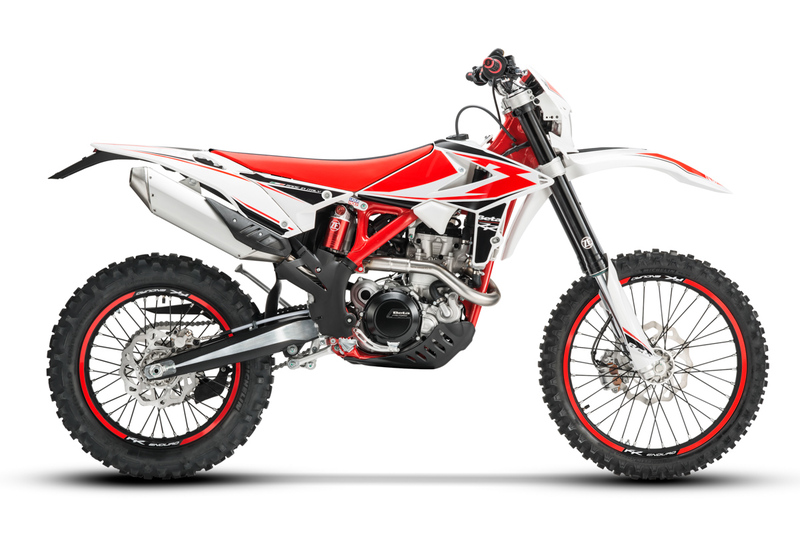 – New ZF Sachs 48 mm fork with new adjustment system allows positioning of the compression, rebound and spring preload adjusters on the upper fork cap – they can be reached while sitting on the bike and do not require tools. The fork also benefits from a new packing system which ensures greater stability and a slider with special anodising that reduces friction and increases durability. – Fully redesigned ZF Sachs shock with more compact 46mm piston is about 300g lighter. The new piston has been designed to ensure more stable operation as the oil temperature varies and increased sensitivity to enhance comfort and traction. The small upper base and reservoir have also been redesigned to rationalise the system and minimise weight and bulk. New spring is also lighter. – In-house Beta system characterised by a special relationship between the opening of the main flap and that of the side boosters. The delayed opening of the boosters enables excellent performance progression throughout the engine’s rpm range. – Crankshaft with polyamide inserts favours lightness and ensures optimum filling of the crankcase, boosting performance and reliability. – Aluminium demountable cylinder head dome is a rigid and lightweight solution made possible by shifting the engine mount on to the cylinder. The geometry of the combustion chamber is designed to ensure a high-efficiency thermodynamic cycle and obtain the best compromise between responsiveness at low-to-medium revs and during spurts. It also facilitates fine tuning and replacement of the combustion chamber. – Vforce4 reed valve packet ensures high reliability without compromising performance. – Six-speed transmission specially developed for small Beta engines with gears made from forged blanks to provide mechanical strength and reliability while still keeping size and weight extremely low. 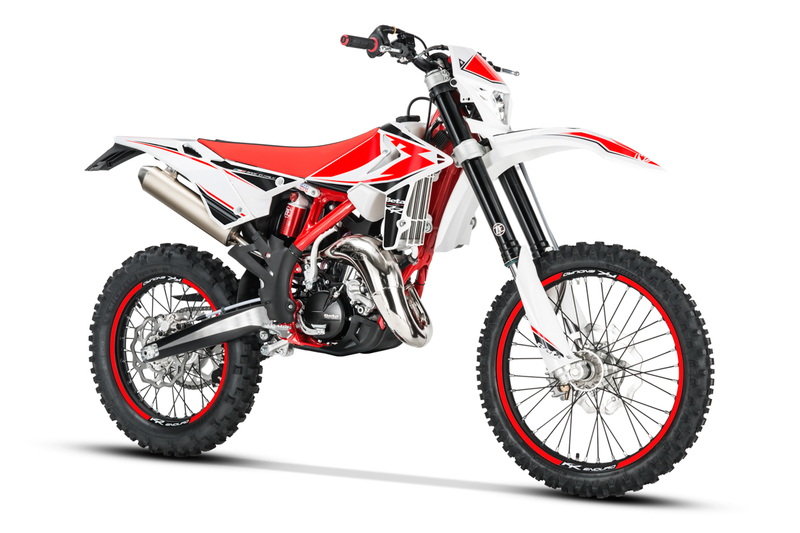 – To optimise the two-stroke engine’s torque and power curves, Beta has developed a special system dedicated to this engine size. – Automatic oil injection eliminates the need for a fuel-oil premix. – Geometry of the new upper coupling points allows a reduction in engine-generated vibration while maintaining good engine-frame system stiffness. – New mapping for all engine sizes combined with the excellent response of the new throttle control. Pricing for each model is: RR 125 ($10,995), RR 200 ($11,695), RR 250 ($11,895), RR 300 ($12,395), RR 350 ($12,795), RR 390 ($12,995), RR 430 ($13,195), RR 480 ($13,395). For more information, visit www.beta-motorcycles.com.au.